The belvedere built by Bérenger Saunière on the remains of the Visigothic ramparts. There is a lot in my book "Barbarian Gold" about Rennes-le-Château, much of it previously unknown. There are eight chapters about the village, including; "Founding the Fortress of Rhedae", "Between Rhedae and Narbonne", "Rhedae the Bolt-hole", and "Could Rennes-le-Château still hold the Treasure today?" By the end of the 8th century, Rhedae was the capital of the region and, as well as the hilltop village known as "the citadel", had a huge village to the south between the ramparts and the little river, in its gorge, called Couleurs. This area is known as the "Plateau de Lauzet." It is my belief that it is ripe for exploration as, according to all we know (and the invading Franks who destroyed documents), a whole village there was destroyed by "the routers" or bandits under Henri de Trastamere in 1362. The Plateau has never been excavated; the desolation of the region meant there was simply no money for it. 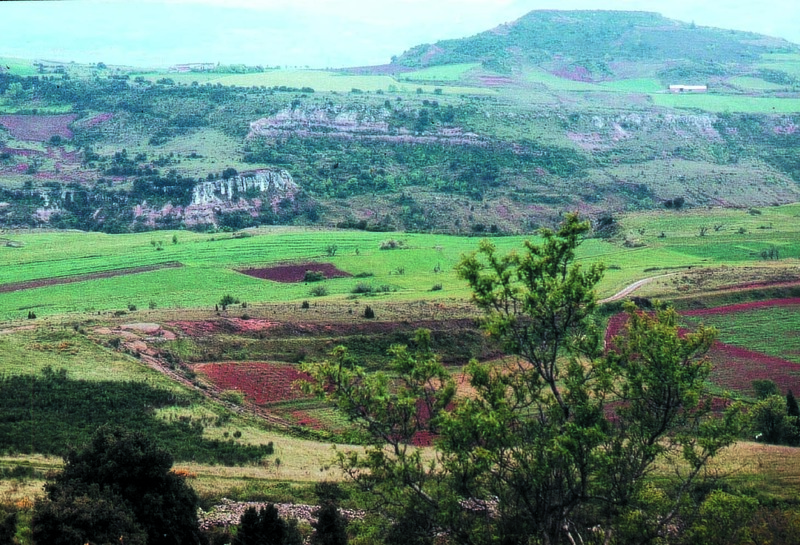 The plateau de Lauzet with the old Celtic oppidum, Casteillas, in the distance, the cliffs cut by the River of Colours below, and always, rich grassy fields. The castle at Rennes-le-Château also has a unique history. It is privately owned - a friend of Monsieur le Maire, from Toulouse bought it - so it is impossible to go in unless you are going to a concert by David Bailey, their resident English spiritual pianist. 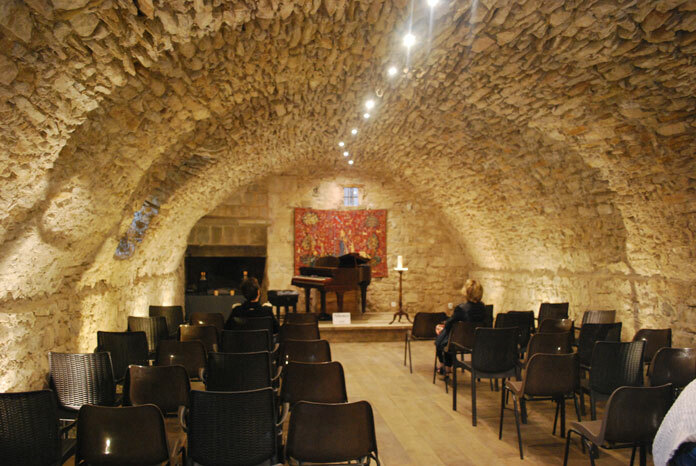 He holds concerts in the "Salle Visigothique" in the basement of the castle. I believe this to have been the original crypt of the castle, that at one time held the Treasure of Jerusalem. 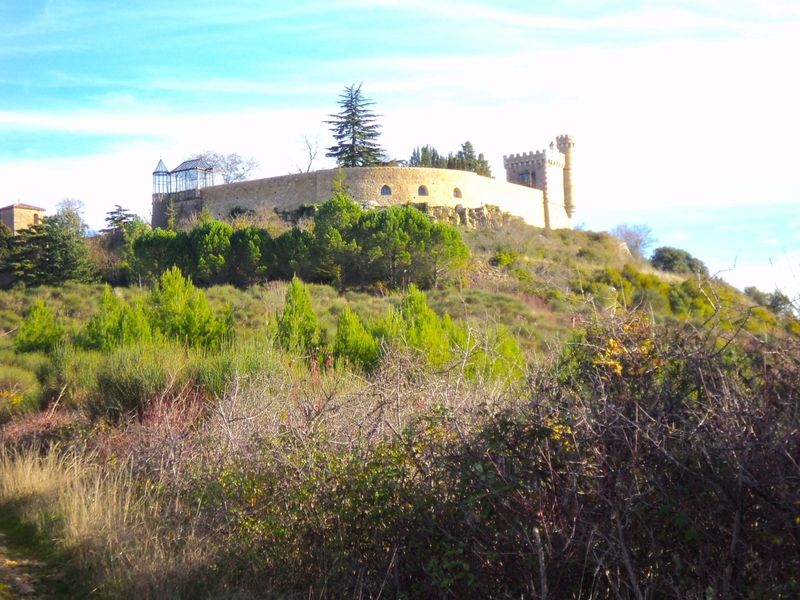 Many people will tell you the castle was not Visigothic but Carolingian or even Renaissance! (16th century.) The truth is that obviously, it was re-built at various times, but I am convinced it was first built about 508 when the Visigoths made Rhedae their capital after the Franks attacked them at Toulouse. French historians will agree to nothing without documentation (that the Franks destroyed) and they also insist on calling the 300 years of Visigothic rule - 412 to 756 - "antiquity tardive." Thus, they do not discuss the "heretic" Visigoths at all, unless they teach at Perpignan University, which has a department which is today's leader in Visigothic research, in both France and Spain. The book by André Bonnery is a classic, but you notice, the title does not mention the Visigoths. After the Middle Ages, Rennes-le-Château fell into obscurity until the psychic Pierre Plantard published his theories from 1953 onwards, which were then enlarged by the three authors who had made TV programmes about the Rennes-le-Château mysteries in the UK - Baigent, Leigh and Lincoln. 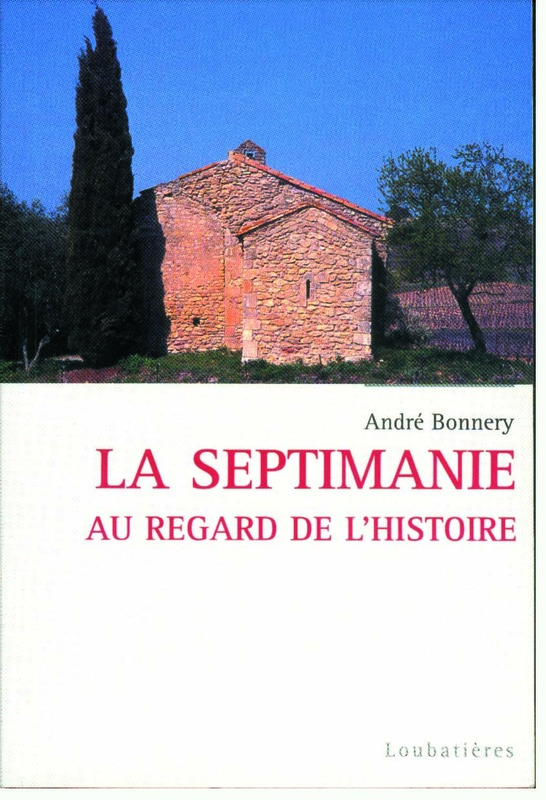 People became fascinated by the priest who made a fortune - Bérenger Saunière - the implication being that he had discovered the Visigothic treasure;but he died penniless. This also we discuss in "Barbarian Gold"! I recently wrote a biography of Bérenger Saunière as 2017 is 100 years after the year he died; you can see details here.